Affilate marketing has been the source of income for so many bloggers or webmasters. Actually, it's a type of performance-based marketing, in which the a business running the program (affilate programs) rewards the one or more affilates (the marketers) for each marketers or visitors that is brought into the market effort. Todat's stroll, I would brief you on the ways to Make Money Online with Mobofree Affilate Program. 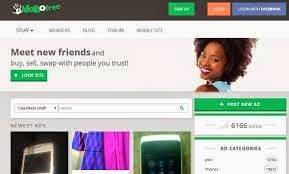 Mobofree is actually a social market place that offers a safe space to buy and sell items and services from other Mobofree users. It has been one of the fastest growing e-commerce website in Nigeria, and it also based in other country like indian, and some other popular countries. Actually, in Mobofree, Buyers and sellers can look up the people they wish to make a sale with on Mobofree, they also get to negotiate with them and also get to know them, with this, unique ways of ensuring more secure transactions between users is being provided. Most Nigeria Bloggers still find it difficult to make money with affilate programs, but bet me, with mobofree affilate programs, you stand a chance of making over #5000 daily. Most affilate programs currently offer commission based on sales of their product, but Mobofree affilate programs pay based on Registration of free users invited by you. It's easy, Simply join the program and you would earn up to 50 Nigeria Naira commission for each new users joining Mobofree. And in addition, you also stand a chance of recieving free advertising by Mobofree which worths 150K Nigerian Naira. 1. 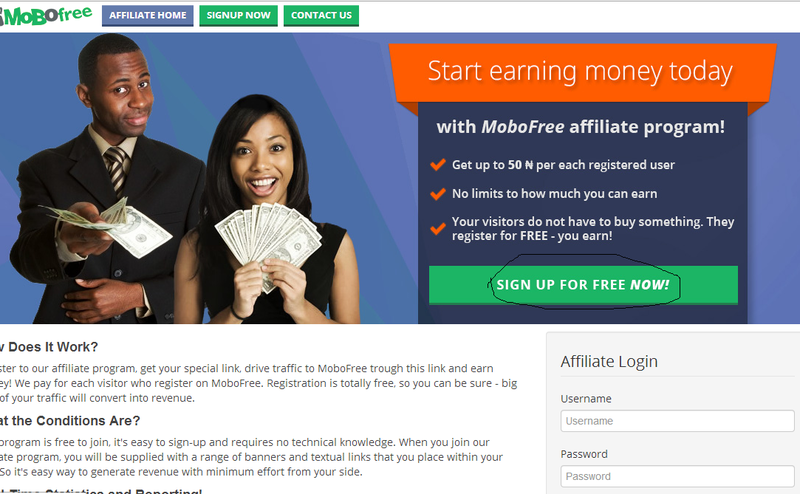 To join, First Sign Up a Mobofree Affilate account here. 2. 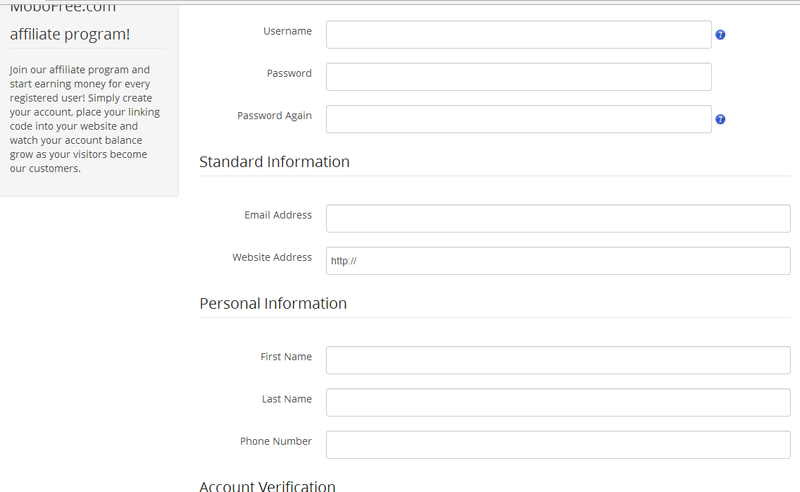 Then you are to fill in the form with correct details, and click "create my account button"
3. After registration, then login, and your account would be pending approval, and would be reviewed in the next 48 hours. Once it's being comfirmed, then you would be notified via email, and you can login, and you would be given banner and text link for your affilate marketing. So, as a blogger or marketer, once you can make up to #5000 per 100 people that registered through you, and that can even be your daily income from mobofree affilate, if you've a large social influence. If I may ask, is this something for Nigerians only? As it appears the currency is in Naira. It's not only for Nigerians.. They also have a dollar currency.. So places like indian, ghana and some few other countries can apply..
Nice information. I have read those information which you mentioned here. It's very useful for those who are looking for ways to earn money online. I am doing reselling business to earn money .Reseller is nothing but getting product from someone fixing high rate for those products and then earning money by getting commission from them. To do this we must have a reseller account .I got a reseller account from GoResellers.com here they provide basic and pro reseller plans. I chosen basic reseller plan using which i bought domain names, website builder service, web designing services and so on. After that i fixed high rate for those services and sold them .I earn quick cash through this business. According to me reseller business is one of the best way to make money online. Turn ₦5,500 Into ₦470,000 From Home On Internet.